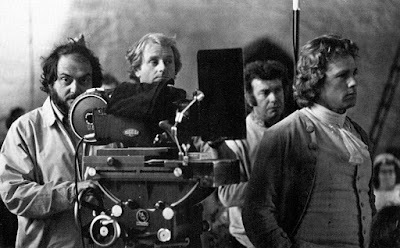 Barry Lyndon (1975) might be the most argued about film in Stanley Kubrick's oeuvre. Some otherwise battle-tested and devoted Kubrick aficianados call it his worst film. Others, myself included, list it as his greatest masterpiece: the sum of Kubrick's extensive wisdom distilled into one, brutally powerful film experience. 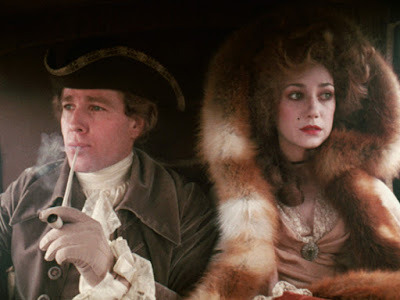 The Criterion Collection's release of Barry Lyndon today on Blu-Ray is an affirmation of its artistic merit. And it is also currently the best presentation of the film yet on home video, based on a new 4K transfer of the negative. Stanley Kubrick's personal assistant, Leon Vitali, helped oversee the restoration efforts and the creation of a new 5.1 surround track and it shows. And as an added nugget of trivia, Leon Vitali co-stars in the film as Barry's stepson Lord Bullingdon. I presented a newer and more improved trailer first, then directly above is the vintage theatrical trailer. The tonal differences between the marketing and the film itself were pretty extreme. I think the formality of the period portrayed in Barry Lyndon is sometimes confused as cold or distant, but it truly is Kubrick's most emotionally gripping movies, although a lot of it is in the subtext of the scenes. A little patience will go a long way in connecting to this masterpiece. Respected film critic Mark Kermode has a video review in which discusses Barry Lyndon, which I recommend checking out. He gives some interesting insights and commentary on this often overlooked film classic. I will have a lot more to say about this film in an upcoming book 44 Years of Stanley Kubrick.